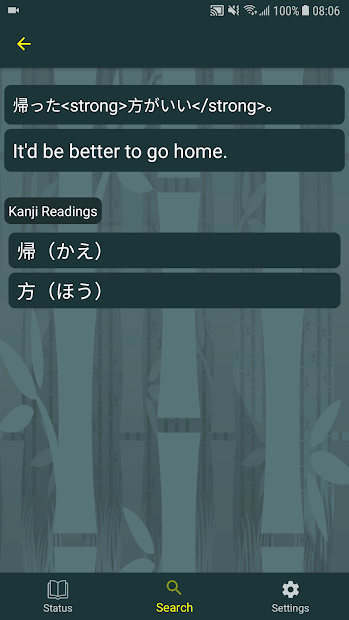 Bunpro SRS is a Android appication that helps you study Japanese grammar. Each grammar point has example sentences that build upon previous grammar as well as links to other great free online resources for additional information. 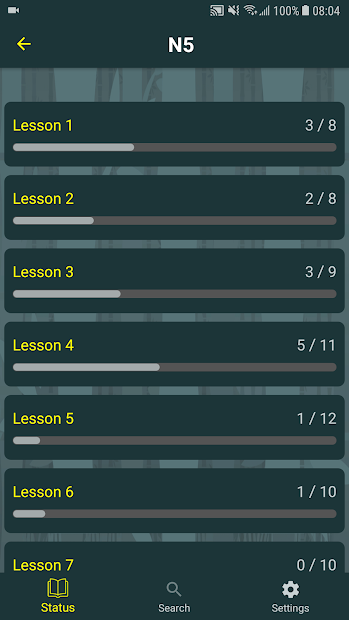 Users can then review the grammar they have learned using SRS flashcards that are input-checked. 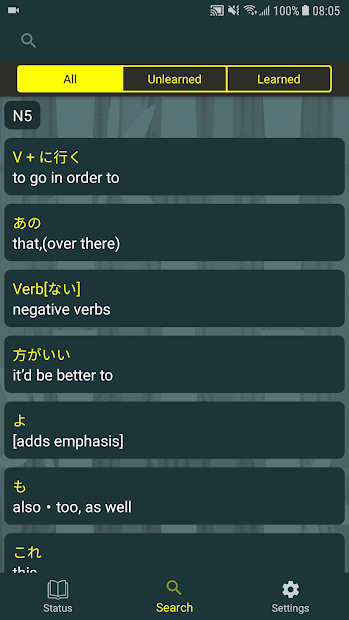 When it comes to studying Japanese, there is an almost infinite amount of information out there. From grammar sites like Imabi and Tae Kim to great textbook resources like Genki and Sou Matome. However, there is no unified path to study. 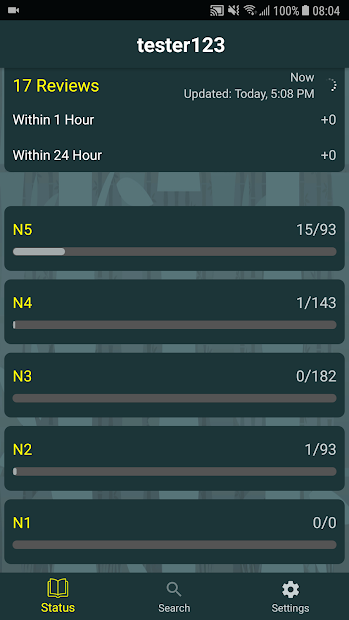 Every resource has its own grammar study order and often times you will find yourself studying N3 or N4 grammar before you are done with N5. While there is nothing wrong with this approach to grammar organization, it presents a problem to students who try to use other resources and end up finding a lack of continuity. 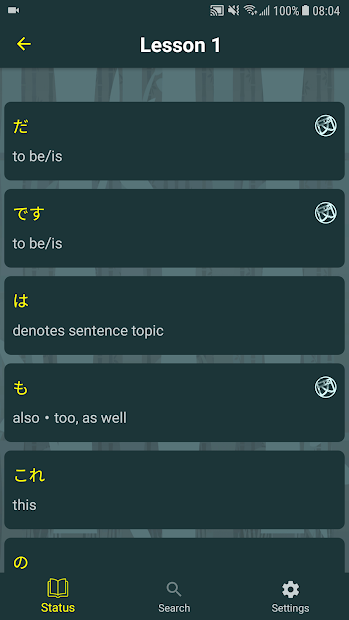 In addition, many of the free sites and blogs that teach Japanese Grammar go far too indepth for a beginning learner and that leads a student to feel overwhelmed and frustrated. 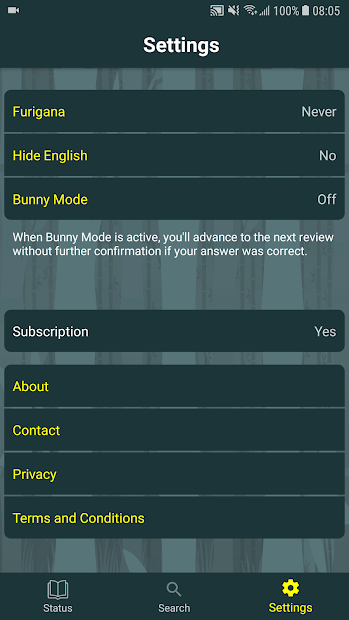 With Bunpro, our aim is to give you some great example sentences for each grammar point that build upon previous grammar and then provide links to additional resources that exist that can explain the grammar in more detail. This will give you a concise roadmap of what you need to learn here and now. We feel that a good foundation is the most important part of language learning and using the wrong material or spending too much time making sure you have covered every nuance of a basic grammar point prevents you from feeling like you are making progress. A sense of progression is incredibly motivating and can be the difference between quitting after two weeks or sticking to your study. How many times have you been studying grammar flashcards and you make a guess about the grammar. You look at the answer and see you were close and say, "Oops, that was what I meant!" and then check it off? If you are not required to input the answer, it becomes easy to skate by with partially correct answers.